What hero is coming to the rescue today? You decide! With so many options, and so many of your own super strengths, it may be hard to make a choice. 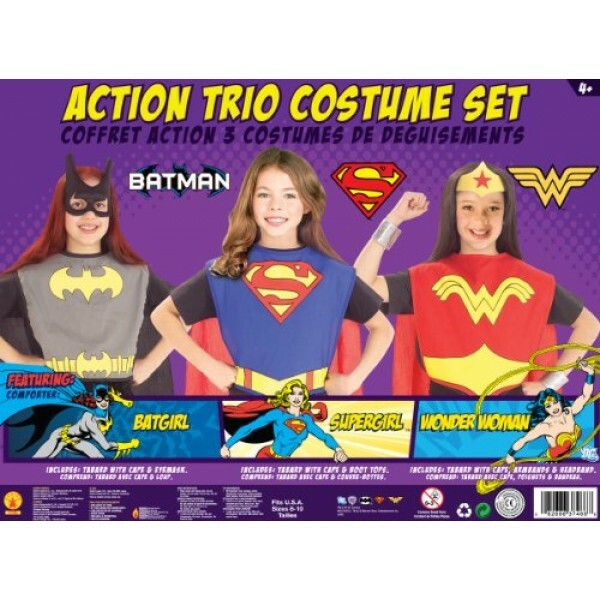 The options are yours when you have the DC Superhero Trio Batgirl; Supergirl; Wonder Woman Costume Set. 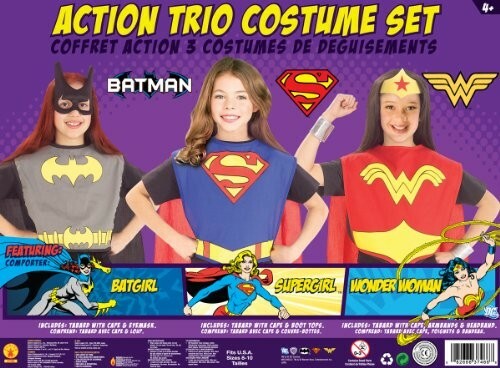 For more products featuring superheroes, visit our Superhero Character Collections.